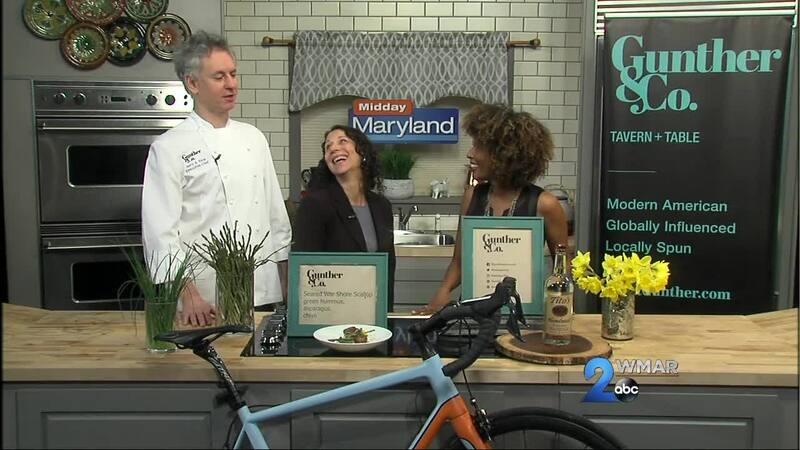 Chefs Cycle - Gunther & Co.
Gunther & Co. will host its third annual Chefs Cycle culinary fundraiser on April 9. The event supports “Team Gunther” in May’s Chefs Cycle event benefiting Share Our Strength’s No Kid Hungry. No Kid Hungry connects children across the country with healthy food where they live, learn and play, with the ultimate goal of ending childhood hunger. Currently, one in six children in Maryland face hunger daily. Jerry and Nancy Trice, owners of Gunther & Co., will partner with over 275 chefs and members of the culinary community to ride 300 miles in three days, with the goal of raising $2M and fighting hunger outside the kitchen. The Spring 2019 Chefs Cycle ride will take place on May 14-16 in Santa Rosa, CA. The April 9 fundraiser will be a three-hour tasting event with tastes and sips from Baltimore’s top chefs and beverage directors. The fundraiser will also feature a robust silent auction and raffle. Buy tickets here .